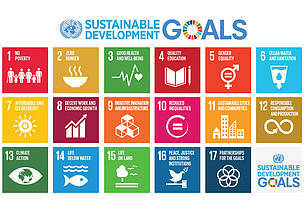 EU governments today called for an overarching and comprehensive strategy to implement the global Sustainable Development Goals in the EU, thereby echoing appeals by civil society. WWF strongly welcomes the conclusions of the General Affairs Council on the European Commission’s reflection paper “Towards a Sustainable Europe by 2030”, and their call for accelerating the implementation of the 2030 Agenda and its 17 Sustainable Development Goals. The European Commission’s paper sets out three scenarios for delivering on the UN Sustainable Development Goals (SDGs), including on the Paris Agreement on Climate Change. It provides a clear acknowledgement that Europe’s disproportional consumption of the world’s resources pushes the planet’s boundaries to its limits and that this cannot continue if we want to ensure wellbeing for all within the limits of the planet. Action on the SDGs would deliver benefits for people and planet, and also make a major contribution to the implementation of the Paris Agreement on climate change. “The 2030 Agenda is a real and positive opportunity for Europe and its citizens. WWF is now looking to our leaders to place sustainable development firmly at the centre of their vision when they meet in Sibiu on 9 May to discuss the future of the EU,” concluded Ester Asin. The EU will report to the UN in July on progress on SDG implementation. This report would be an appropriate occasion for the EU to announce that the delivery of the SDGs will be the top priority for the next European Commission.